Don't let the simple, clean design of our Amish Ironwood Sofa Table with Shelf fool you. This occasional table will add character to any room with a solid wood top and base framed by black steel. Corner plates add character to the piece. 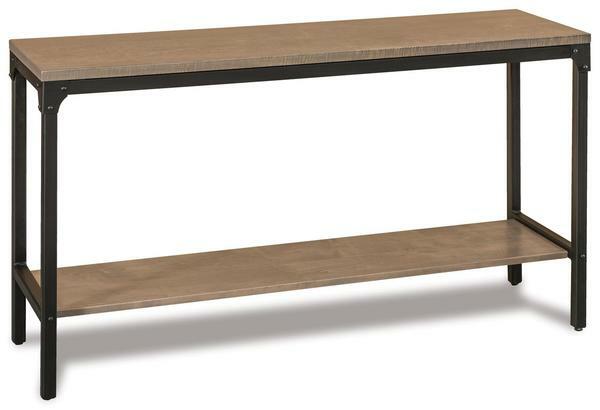 Shown in brown maple with a driftwood finish, this accent table can be made from a variety of wood types and finished in your choice of stain. Shown in Brown Maple with Driftwood.